Build your First Entirely Native Mobile Apps for Android and iOS using Xamarin Forms, C#, and XAML. Then include SQLite! 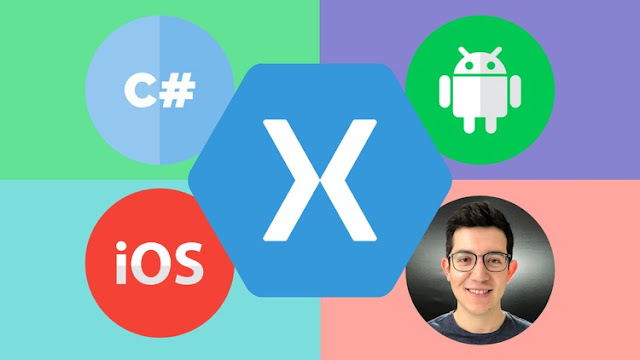 Create your First Mobile Apps with Xamarin! A few years ago I wanted to start developing mobile apps, back then for some reason for the Windows Phone 7 OS, and I just didn't understand what I was finding on Google, too advanced for a newbie like me. I felt overwhelmed, even though I had some (very light) programming experience, this seemed too complicated, maybe that was why it was one of the latest subjects in college (and I was just starting out). And then I heard about this event that Nokia was having for developers, two full days of learning to build Windows Phone 7 and S40 apps, and we would start with Windows Phone. So my mom, with I'm sure a few efforts, gave me just enough money for one day, to travel to the big city, get to the event, have something to eat, and return home. So I skipped school that day, and went to the event, and luckily that day it would be about Windows Phone 7, and I say luckily because a few minutes by the instructor that day completely changed my life, and I mean this in every sense of the word. The reason I'm writing about this story, is because I want you to have the same opportunity that I did back then, so you too can start building apps, and with no need from your loving parents to sacrifice some of the money they may very well lack, this course is entirely free. Hoping that this course does to your professional career what those 30 minutes did for mine all those years ago. If you are a complete beginner on app development, I made this course with you in mind, so after just a few minutes you unlock a world of posibilites with the apps that you can build. And even better, Xamarin Forms unlocks more doors now by itself than Windows Phone 7 did back then. Xamarin Forms allows you to build NATIVE both Android and iOS apps reusing one code base. By 100% reusing C# and XAML code! Jumpstart your mobile app development career, don't wait for the University to teach you in the last semesters, act now and start building iOS and Android apps today. Anyone interested in learning Xamarin! Mobile developers searching for a native code sharing solution! Developers looking to efficiently build their first mobile apps! Newbie developers who want the best option around for Native App Development.